Creena Mulchrone will be competing for Seán Ó'Riada Gold Medal. Two Mayo musicians, Paul Clesham and Creena Mulchrone, will be among the finalists competing for the Seán Ó'Riada Gold Medal on Friday, February 2, in the Rochestown Park Hotel in Cork. A previous winner, Tim McHugh from Newport, will also be performing at a concert in the hotel on Saturday night. Paul Clesham, from Claremorris, started learning music at eight years, playing box, fiddle, melodeon, and concertina. Bernie Geraghty, from Ballindine, was his teacher and instilled a great love of music in him. Clesham has won six All-Ireland titles. As well as traditional music, he also plays classical piano. He completed a degree in Irish and music in UCC, followed by a Bachelor of Music degree, and subsequently a master's in ethnomusicology. Clesham is a member of the group Officially Tapped with David Geaney, Shane Creed, and Edward Looney, and he has been living in Cork for the last six years. Creena Mulchrone is from Behybeg outside Ballina. Mulchrone is an underage All-Ireland Champion in button accordion, melodeon, and traditional singing. She started playing button accordion and singing with Bofield Branch CCÉ and completed Scrúdú Ceol Tíre exams with distinction. 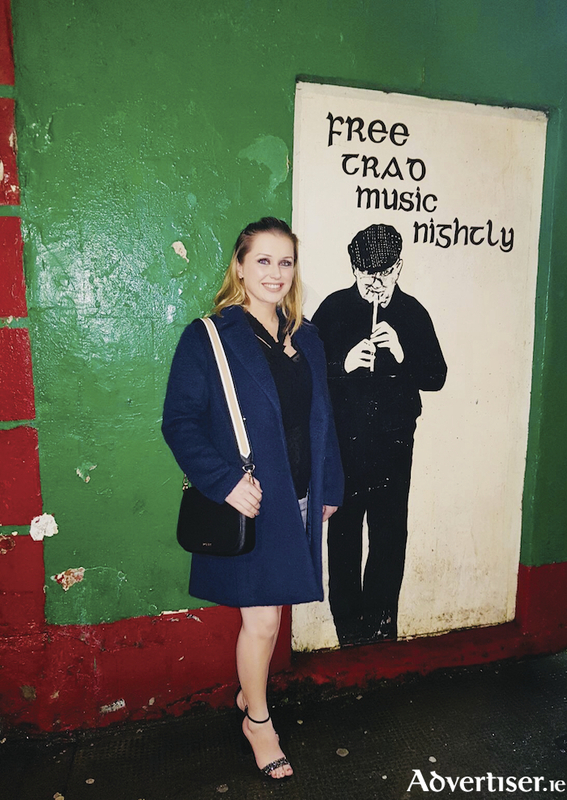 She graduated in 2015 with a first class honours degree in Irish traditional music performance from University of Limerick. She has performed at festivals across the country and further afield, including the Whitby Folk Festival, Inishbofin Set Dancing Weekend, and the Alpentone International Music Festival. There will be 16 musicians in total taking part in the final in the Rochestown Park Hotel in Cork on February 2, which this year features box and concertina players. Peadar Ó Riada will present the event live on his Cuireadh Chun Ceoil programme on RTÉ Raidió na Gaeltachta from 7 pm and it will also be streamed live to the Raidió na Gaeltachta Facebook page. Tickets can be purchased from the Rochestown Park Hotel for €10, and overnight accommodation and a ticket to the final are available for the bargain price of €40pps. The final takes place as part of a series of events over the weekend in the Rochestown Park Hotel in Cork, to include a gala concert on Saturday night at 8pm with previous winners of the medal, including flute player Tim McHugh from Newport who took home the medal in 2012. Other previous winners who will be on stage include Oisín Morrison, Tiarnán Ó Duinnchinn, and Úna Ní Fhlannagáin. The event is free, and offers a wonderful opportunity to hear top class musicians perform. Earlier, on Saturday afternoon, there will be a conference for musicians to advise them on areas such as recording rights, jobs, supports, and insurance, with representatives from IMRO, Comhaltas, and more. Comhdháil na gCeoltóirí kicks off at 2 pm, with €5 entry fee.